Fotowall is an opensource creative tool that lets you play with your pixels as you've always wanted! 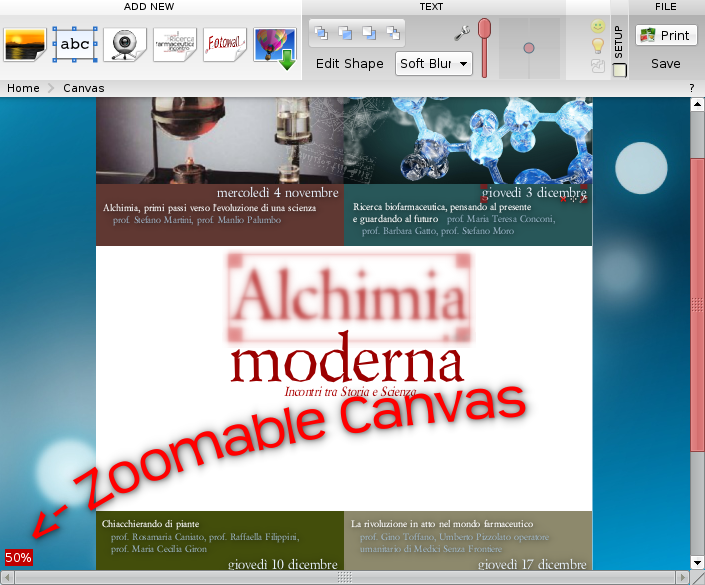 Make the perfect arrangement with your photos, add text, live video from your webcam and the best internet pictures. You will get this and much more. Get Fotowall today! Source code here. Fotowall 1.0 'RETRO' is done. 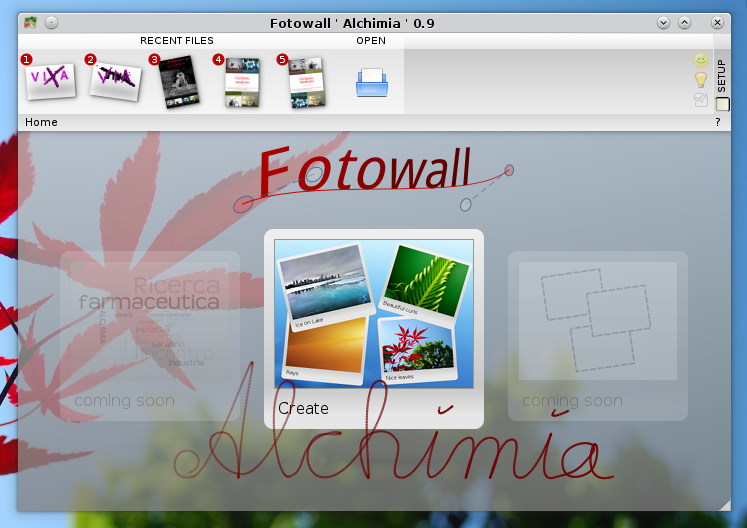 Fotowall 0.9 'Alchimia' is out!